This Georgian Federal-style building opened in 1918 as a headquarters for the Americus Republican Club of Pittsburgh. The first two floors were laid out by Edward Lee, a Pittsburgh architect known for his work on the HYP Club and the Liberty Theater (now 810 Liberty). 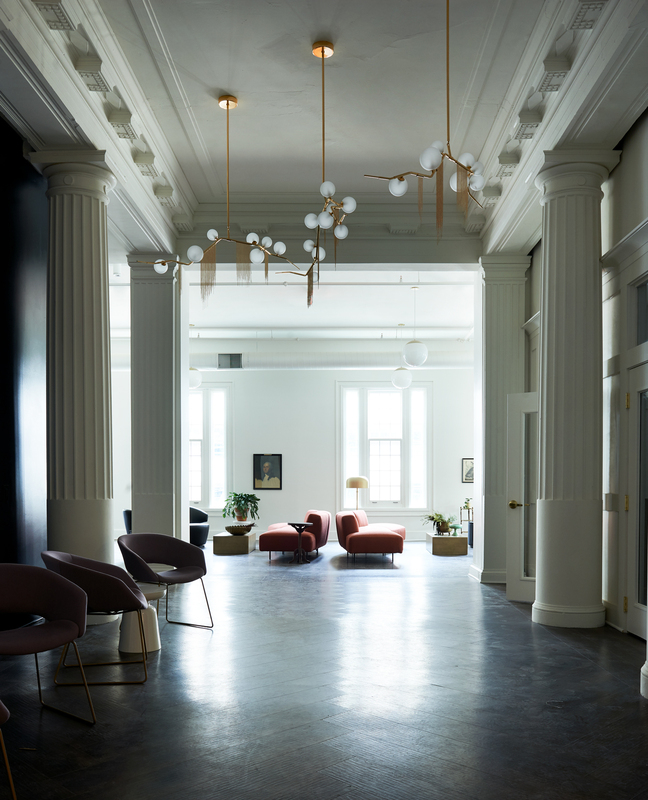 The historic Pitt Building is home to Beauty Shoppe’s upscale coworking space. A former HQ for the Americus Republican Club of Pittsburgh where, 100 years ago, members could be found rubbing elbows and puffing on cigars with Teddy Roosevelt in the building’s formidable billiard rooms. Fast forward to the present: Beauty Shoppe has taken an unapologetic move to restore the grand nature of this space and the role it can play in Pittsburgh’s urban professional ecosystem. This time around, all are welcome.